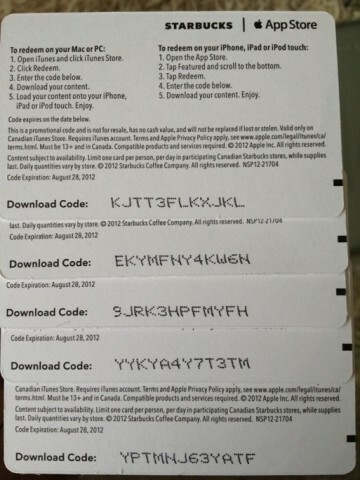 A few days ago we received a tip from iPhoneinCanada reader @swotam (thanks!) Instapaper was set to be the free Starbucks App Pick of the Week, and now it has been confirmed via Marco Arment, the founder of the app. In this truly big week, Dan and Marco discuss Instapaper’s ad on Howard Stern, the Android app launch, the Starbucks App Of The Week, background location updates with geofencing, and conservative predictions about the TBA sessions at WWDC. We were also able to get our hands on an early copy of the App Pick of the Week card, seen at a local Starbucks. Canadian and American Starbucks locations will enjoy Instapaper as the free pick tomorrow. The app regularly retails for $4.99 in the App Store and recently released an Android version (not developed by Arment, but by a third party) too. 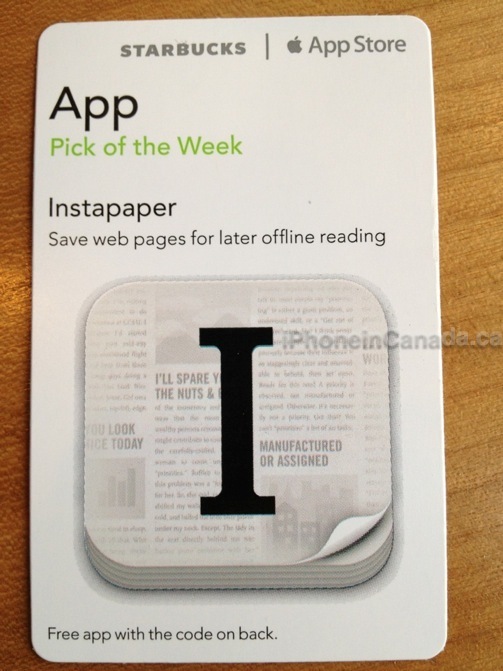 If there’s one Starbucks App Pick of the Week to grab, it’s Instapaper. It essentially allows you to save any story for offline reading and has been featured numerous times by Apple. Instapaper was recently updated with geofencing to automatically download stories in the background when you leave or enter a particular location. Let us know if you find this at your local Starbucks starting tomorrow! Click here on how to redeem a promo code (which is on the back of the card).